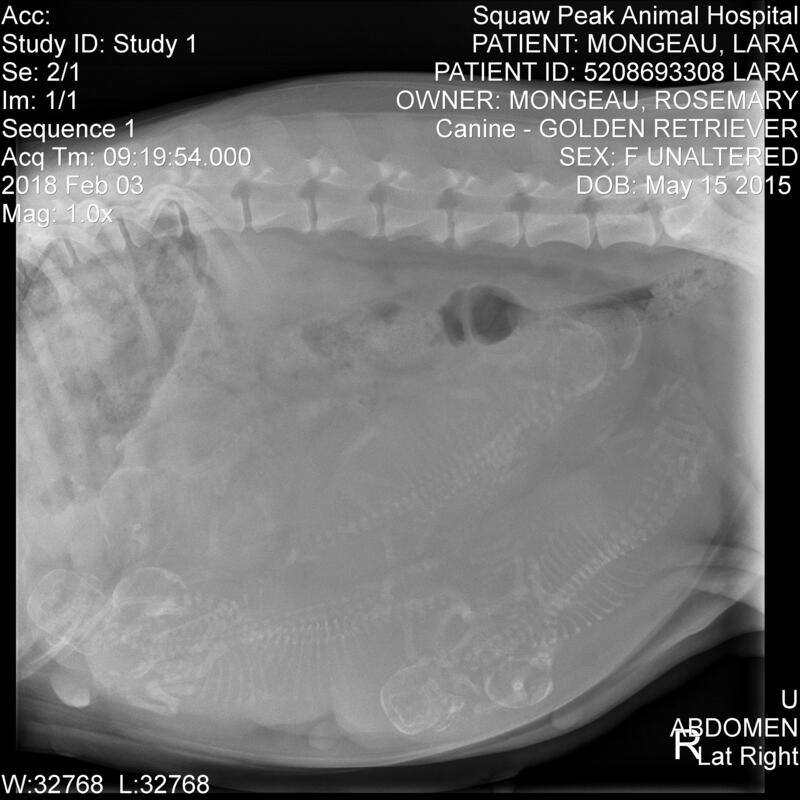 Xray taken Feb. 3rd…vet sees 7 or 8 puppies! Ultrasound performed Jan 15th and Lara and Romeo will be having puppies mid February! These puppies will have wonderful temperaments and be great for therapy work, families and show. They will be ready for their forever homes at 8 weeks. Will be up to date on vaccinations, deworming and have been vet checked. Please check back here for updates. Please complete puppy questionnaire if interested. Price for this litter is $2500.00 AKC Limited Registration( pet ). Said puppy shall be ready to leave seller at 8 weeks of age on, unless previously arranged for later pick up. Puppy shall come to you with a record of their first shot, deworming and a health check from vet. You will also have the paperwork in order to register your puppy with AKC. Buyer also gives a one year guarantee that puppy is clear of all debilitating congenital diseases. If this were to occur per examination of your and my vet then we would replace the puppy with one from the next litter. Seller attests that both parents have been certified as good OFA Hips, and OFA Normal Heart. Once the puppies are born visitors will be welcome in person, as my schedule allows, after 6 weeks of age, when they have had their first shots. Prior to that buyers will be updated with pictures as often as possible. All vet costs are the responsibility of the buyer once the puppy leaves the sellers property. We suggest having the puppy checked by your vet within 72 hours of arrival and setting up a vaccination schedule for the remainder of their shots and dewormings etc. In the event that you are no longer able to take care of your puppy in the future, at any time, we would like to be notified so that we can assist you with their placement with another family or we will take them and find a suitable home at no charge. We do not want to see our puppies being taken to the pound under any circumstance. Congratulations. This represents the agreement in full.